Ubuntu Counselling Services is an NHS/CCG commissioned service, offering face to face counselling and group work for all ethnic minorities in Devon. To provide an evidence based Holistic Counselling Service for Minority Ethnic Communities across Devon. • To monitor and evaluate the service so that it remains relevant and responsive to need and operates effectively and efficiently. We work with all cultures, except white British and we will see those from a white British background if they are in a mixed relationship, or have children from another culture. In addition to counselling, we offer group work including: a horticultural group on Thursdays, 10am to 1pm; a therapeutic writing group; mens' and womens' education groups on domestic violence. The education groups will be followed by therapeutic groups, separate for men and women. These will deal with a variety of issues including: isolation, identity, anger, stress, cultural issues, etc. As an added resource, we will be running a drop-in centre on Fridays, 10am to 3pm, in the city centre. Our counsellors are either BACP accredited and/or registered. Our volunteer counsellors are in the final stages of their training and working towards registration. We abide by the British Association for Counselling (BACP) ethical framework and are organisational members of BACP. Ubuntu refers to the essence of being human: it is at the core of the work we do; how we treat others and what we aim to achieve. We all experience times in our lives when the stresses and strains are difficult to deal with. Ubuntu provides a holistic and evidence-based, multicultural counselling service for all communities across Devon and wider population. At Ubuntu, we recognise that people are all different and may need different counselling approaches. We use a Humanistic Integrative approach, combining a number of counselling methods. Where we think that another service may be better placed to help a client with their needs, we will work to support clients to access that service. Where there may be cultural issues that get in the way, we will work with the client and the service concerned to try to overcome these. If it helps to talk to us before making a referral, then please do so. We accept referrals from any source, including self-referral. 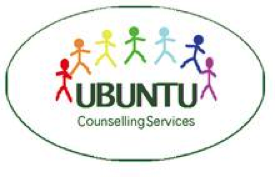 At Ubuntu, we recognise that people are all different and may need different counselling approaches. We use a Humanistic Integrative approach, combining a number of counselling methods. Where we think that another service may be better placed to help a client with their needs, we will work to support clients to access that service. Where there may be cultural issues that get in the way, we will work with the client and the service concerned to try to overcome these. Have you been targeted for a crime because of who you are? So called hate crime or racism can leave victims feeling disempowered because the crime seems to have been directed at who they are, which is something they are powerless to change. Such crimes damage self-esteem and undermine the victim's confidence in being able to keep himself or herself safe. They may result in victims feeling unable to live their lives freely, as they would wish. We can support victims in regaining confidence, self esteem and the ability to take control of their lives again. This training is open to BME communities who want to know more about what the law in the UK defines as domestic violence and how is it dealt with,potentially differently then how this might be treated back home. This an educational training that is open to all.